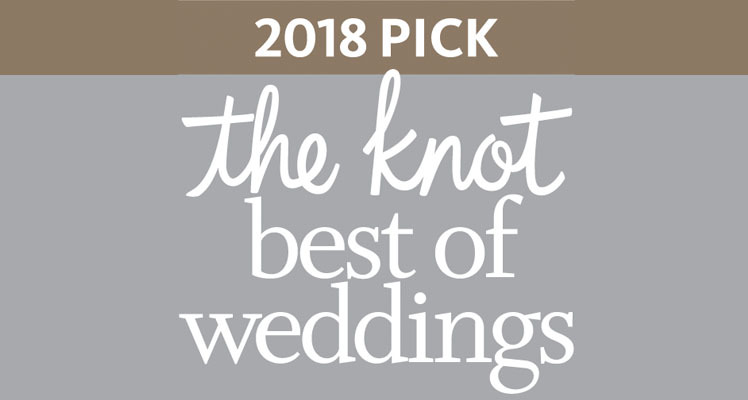 We are pleased to announce that Lancer Catering has been selected as a 2018 ­­winner in The Knot Best of Weddings, an award representing the highest-rated wedding professionals as reviewed by real couples, their families and wedding guests on The Knot, the leading online wedding brand and app. This is the second year in a row Lancer Catering has been selected for The Knot Best of Weddings. In 2018, only 3% of the approximately 300,000 local wedding professionals listed on TheKnot.com have received this distinguished accolade. To determine the winners, The Knot assessed almost 3.6 million reviews across the various vendor categories—venues, musicians, florists, photographers, caterers and more. These winners represent the best of the best wedding professionals that a bride or groom would want to consider booking for their own unique wedding. “I know that to be truly effective at this job you need to believe in beauty and love and a little bit of magic” Jamie Quickert, Director of Catering, Lancer Catering. Lancer Catering is a national award-winning caterer whose services extend to some of the most premier venues of the Twin Cities. Our list of exclusive venue partners include Science Museum of Minnesota, Como Park Zoo & Conservatory, Minnesota Zoo, Edinburgh USA and Keller Golf Course. Our highly-trained chefs and skilled planning professionals execute every event with uncompromising excellence. It is our goal as a company to provide food that is celebratory, that satisfies the senses and that makes people happy.